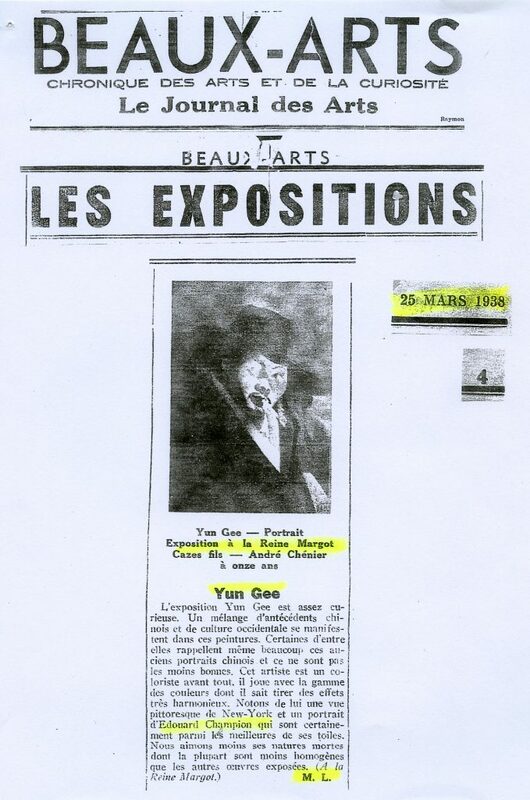 The exhibition of Yun Gee is curious enough. A mixture of Chinese antecedents and Occidental culture manifests itself in the paintings. Certain of them even recall many ancient Chinese portraits and are not less good. This artist is a colorist above and everything else! He plays with the scale of colors from which he knows how to produce very harmonious effects. Let us note by him a picturesque View of New York and a portrait of Eduoard Champion which are certainly the best of his canvases. We like less still lifes of which the majority are less homogenous than the other works exhibited at La Reine Margot.